We are very excited to be working with Dr Catherine Grant at Goldsmiths, University of London and Chase DTP on a collaborative doctoral award on the history of Cinenova as an evolving feminist arts organisation. This CDA investigates an important history of collaborative feminist organising in the arts. Tracing the early history of the organisation Cinenova alongside its current activities, this project will explore the resonances in its evolution for the present day. The partnership with Cinenova will provide access to their archives and the ethos of this feminist organisation that curates, conserves and distributes women’s film and video. 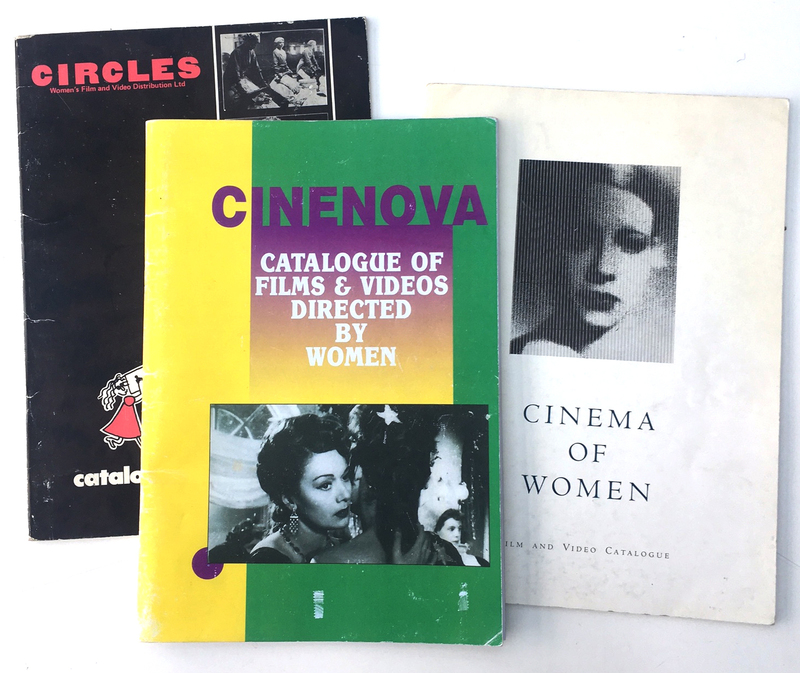 Image: photograph of three distribution catalogues from Cinenova’s history: Circles catalogue published 1980, Cinema of Women catalogue published 1987 and Cinenova catalogue published 1994.